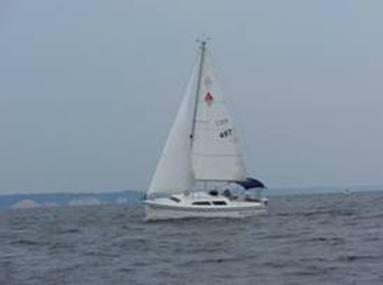 The 2009 Summer Cruise started on Saturday, June 27th at the Herrington Harbour South Marina. The crews of Key Largo, First Draught, Wanderer III, and Shaba, met there for a swim in the pool, and dinner at the restaurant. 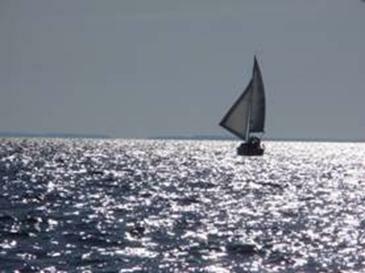 Key Largo and First Draught sailed from Middle River. 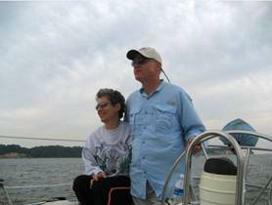 Dan and Grace sailed Wanderer III from north of Philadelphia. 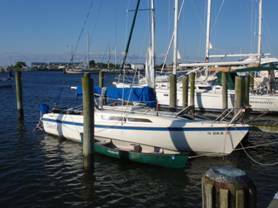 Richard sailed Shaba from White Hall Creek. 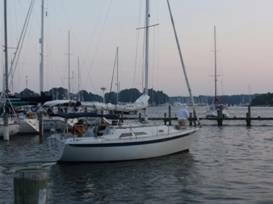 On Sunday, we sailed to Zahniser’s Marina in Solomons. 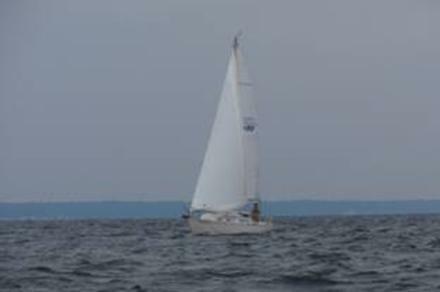 It was a fast sail, a broad reach, with all four of the boats sailing close to each other. Richard and Danny were single handing their boats. 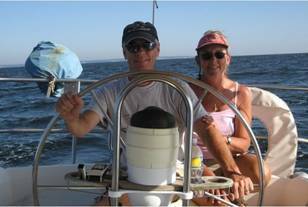 Matt and Karen returned to cruise with us this year, and arrived on Bellefonte Lady after a two-day sail from Crisfield. 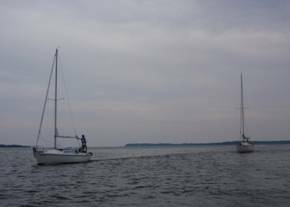 Their friend, Phil, and his nephew, Josh, also joined us, sailing a Macgregor 26, Schatzi, towing a canoe, (more on the canoe later). 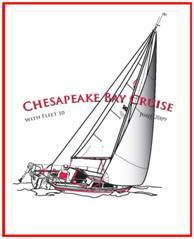 This was their first cruise sailing with our Fleet. 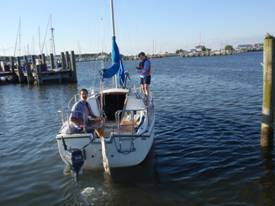 Augie, Lori, and Augie IV were joined again on August Moon by their young friend Louie, and sailed from their home in Severna Park. Tom and Loretta keep Energy at Zahniser’s. Loretta arranged a wonderful picnic for us under a tent, where we had pasta and shrimp salad, fried chicken, and many side dishes and desserts. Many of the dishes were prepared by Loretta. At a meeting after the picnic, it was announced that Sunday was Kim and Tony’s 10th wedding anniversary, and Tony reminded us that they got married on a previous cruise. 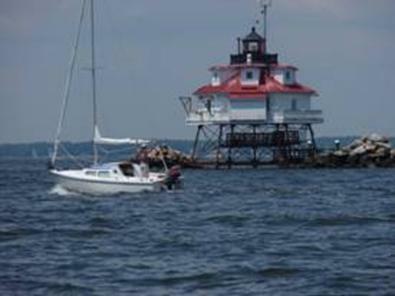 On Monday, we sailed into the early morning sun for Smith Island.